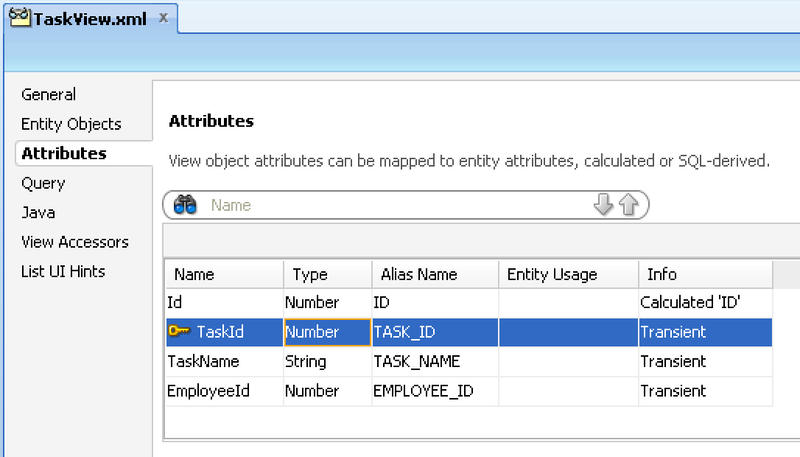 If you want to implement transient View Object in ADF BC, you must make sure it will be passivation/activation ready, otherwise you may loose data. There are several ways how to achieve passivation/activation for such View Objects - override passivation/activation lifecycle and handle transient View Object rows programmatically or reinitialise transient View Object rows from Application Module prepareSession method. There is one more solution, I'm going to describe it in this post. 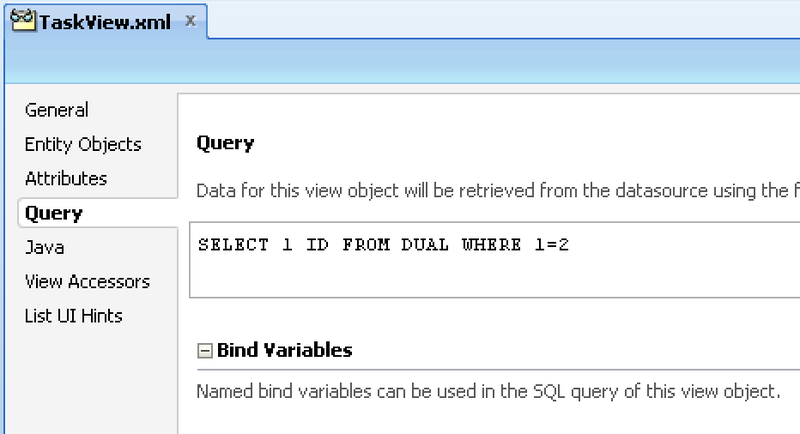 It is based on dummy SQL based View Object, designed to to store transient attribute values. 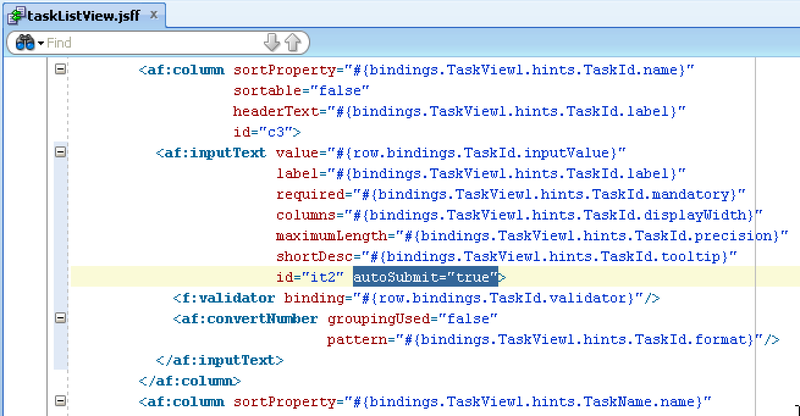 This sample is set with AutoPPR and ChangeEventPolicy to make sure values will be registered for passivation, when navigating between records in the table. Thanks Andrejus for useful information. This seems like a critical point to look into while doing ADF development. I have a question tied to this. 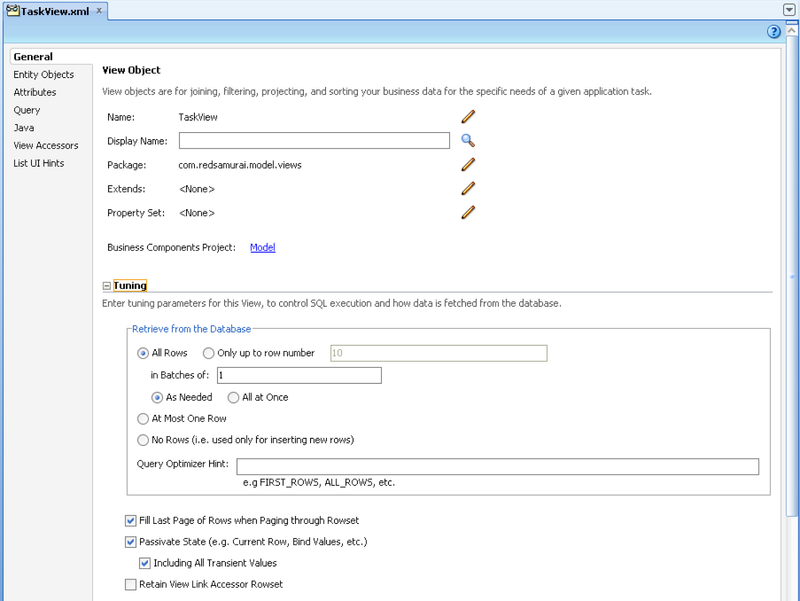 I am planning to build an application having Navigation Tree retrieved from Oracle Database using PLSQL database table. I am planning to store the array in one of the VO to use it show Navigation panel. Please let me know if this will be right approach to proceed considering this passivation and activation of application? Yes, this sounds right. Passivation/activation is not really important for read-only data. If passivation/activation will ever happen - VO simply will re-fetch data automatically. Thanks for the input. This helps in many ways. I think I missed point here, I was thinking of calling the PLSQL package at the time of login to do Database authentication and also getting the PLSQL Array of navigation in one call. This array will be kept for whole session. Parking this navigation data to a VO for entire session. I am assuming this will not be a problem in this case. Here Roles and duties of the user are stored in different database and are being pulled from there once at the beginning of login. You should keep array in session scope. 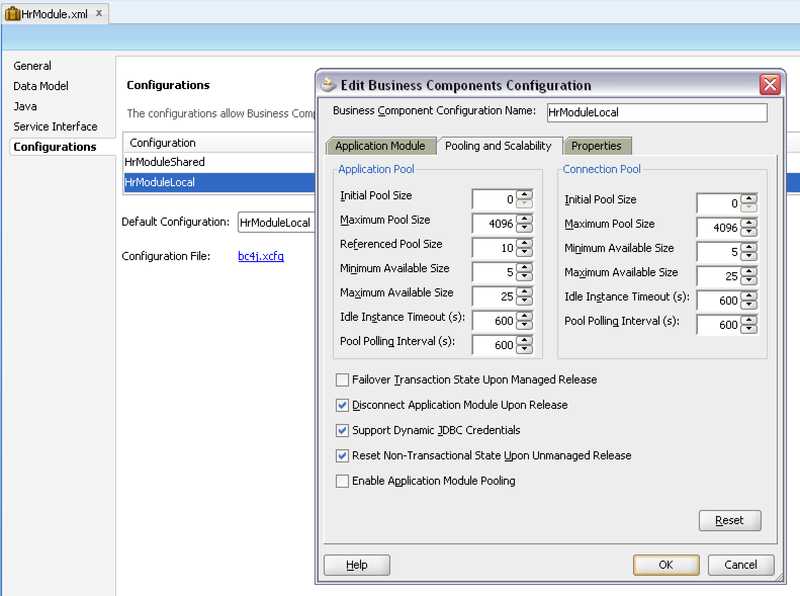 Passivation/activation affects only data from ADF BC. So, it seems like you should not have any problem. This clarifies fully. Thanks a lot for your valuable inputs. 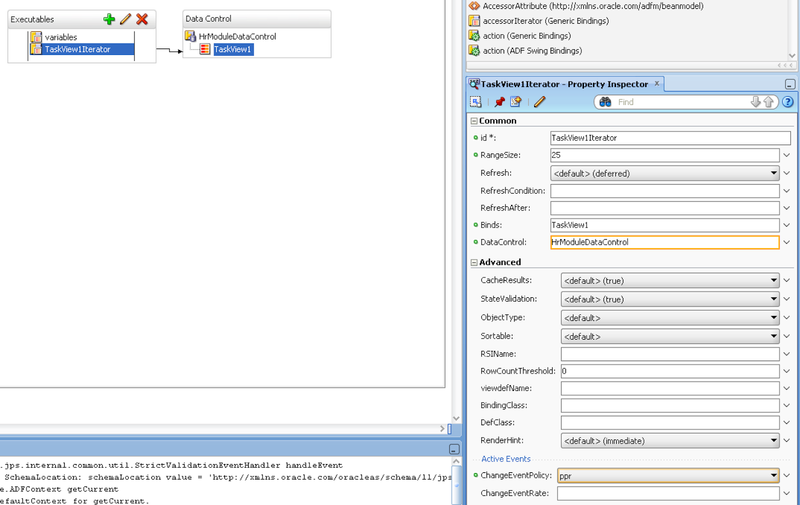 We tried this navigation and created a Programmatic VO to hold the navigation data fetch using domain object of ADF and PLSQL function. I am able to see the list view navigation panel first time but as soon as I refresh the pages using browser refresh, listview navigation gets hidden and there is no navigation panel. Just to add, I have made the VO passivated and all the attributes(transient) are passivated to hold the data. I am not sure what is the miss I am doing here. Please let me know your thoughts. Hi Andrejus, Thnaks for your useful posts. I require to insert rows into static VO with transient attributes before page displays to user. So I downloaded the sample application - ADFTransientVOPassivationApp.zip and then inserted rows into VO by am method in AM, and then run this method as a default activity of task flow. In this case only the last inserted row remains in VO and others row removed.